From the humblest of beginnings, Airbnb has grown into a genuine industry disruptor. Back in 2007, two broke students living in San Francisco decide to turn their loft into a lodging space with three airbeds on the floor and promises of home-cooked breakfast in the morning as an idea to help cover their rent. Now only 8 years later, this colossus company is worth a staggering $15bn. Astonishingly, Airbnb is now the most profitable property company in history – and they don’t own a single property. This just adds to a growing modern day trend of software and tech start-ups dealing person-to-person (peer-to-peer) to cut out the ‘pesky’ profiteering agent or middle man. 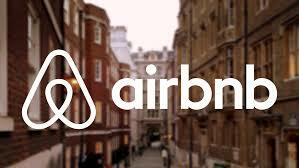 Ever more attractive to the everyday consumer, this is where Airbnb have really capitalised. A great piece of user-friendly software coupled with coming to the market first has seen this unprecedented success. But do these companies have a wider effect on the fine balance of today’s economy? What are the knock on effects of Airbnb? Undeniably, there are a lot of upsides to Airbnb. It puts money in the pockets of the local residents and not the large hotel chains / estate agents (it’s estimated that the average host earns £3,500 per year from taking guest bookings). It also brings free-spending tourist traffic into neighbourhoods lacking hotels, in parts of the city visitors might otherwise miss. The founders envisioned cities where sharing is front and centre and “where people become micro-entrepreneurs”. It can (and arguably is) having a negative effect on life in neighbourhoods. This is not just talking about the nuisance that noisy, partying tourists can create for the local residents. Airbnb contributes to gentrification of central city areas; apartments in desirable spots are continuously rented out to tourists and lost to people who want to actually live there. Landlords remove their properties from the long term market because they can make more money from short term Airbnb rentals. This reduced supply coupled with constant demand means higher prices. Edinburgh seems to have adopted this pattern of late. We’re now faced with a current shortage in stock for long term rental properties and soaring prices as a result of it. A further knock on effect is that neighbourhood businesses that relied on creating ties with residents are being replaced by businesses that only focus on tourists. Bars and gift shops replace local grocery shops etc. It seems fairly undeniable that the traditional rental market and systems have changed now – for better or for worse. In the name of moving forward, we in the property industry must duly adapt. Factotum’s prediction is that Airbnb will become much more regulated. Airbnb landlords are not required to comply with anywhere near the number of regulations that a landlord renting through an agency is. So no energy performance certificates, no smoke or CO detection, no insurance, no PAT tests, no legionella risk assessment… basically no duty of care. Granted – regulations are not the most exciting things to spend time and money on. But when something goes wrong, it’s not even worth thinking about the potential damage. Whether or not introducing regulation will effect or deter hosts is yet to be known. Many cities have already taken steps to address the impact of Airbnb on its housing markets. This saw Airbnb agree to levy and hand over tourist taxes to city councils. They also removed hosts who have complaints about them. Barcelona, Paris, New York and San Francisco are among the first to heavily regulate Airbnb and Berlin has gone as far as to ban its use all together! A potential solution in our eyes is to ensure that Airbnb polices its OWN policy better so that; ‘apartments should be rented out for no longer than 60 days per year, to not more than four guests at a time’. They must also disclose the identity of those hosts who do not stick to its rules to the local councils. Up to this point the company still refuses to do so on privacy grounds. Airbnb is here to stay and probably a positive contribution to cities, but has to be more transparent. It needs to remember some of the socially driven philosophies they founded the company with and not just turn into a modern day profit machine. Not that we’re biased, but agents are still valuable contributors to the property industry. Not only do we know the law inside out, but we help to greatly decrease the change of any issues by enforcing regulations, vetting tenants, taking deposits and providing insurance. Yes, we take our cut of the profit – but it definitely saves you the worry.